Galveston Island Palms is a beautiful outdoor wedding and party venue just blocks from the warm gulf waters of Galveston, Texas. 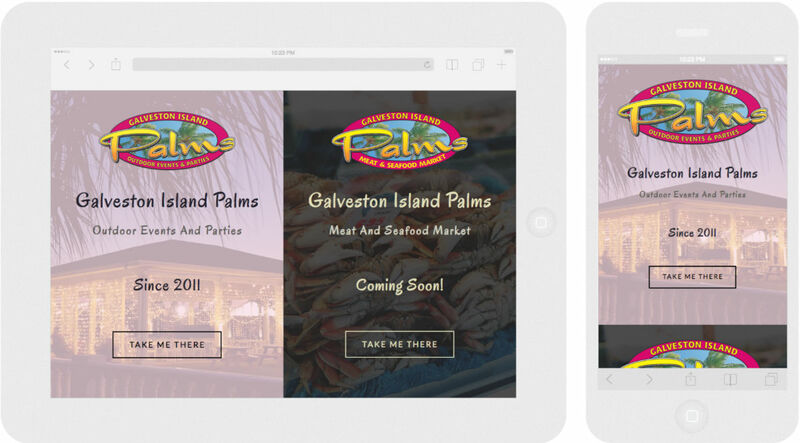 The design goal for galvestonislandpalms.com was to appeal to brides and event coordinators. This site is packed with all the bits of information a coordinator must have in order to make a buying decision (except for the price). Visuals – lots of visuals to give planners ideas on how to utilize the space. Also, it’s two-sites-in-one! They are expanding to offer catering too. WordPress initially installed and designed in 2014, galvestonislandplams.com has undergone one redesign and one hosting change.